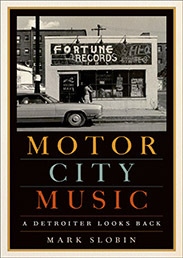 Detroit is known as the birthplace of Motown Records, but there’s more to the musical history of the city than just that, due to the key role of the public schools in music training, the impact on music of the auto companies and the media, and the huge variety of ethnic music-making across Detroit’s 139 square miles. Test your knowledge of this unique city’s music history with our quiz. Featured image credit: A 1960s RECORD SHOP. LIVERPOOL UK by Ronald Saunders. CC BY-SA 2.0 via Flickr.